I want to share my idea for a gift for my partner, that I made using the 'print and cut' feature of my Silhouette Cameo. He likes books. 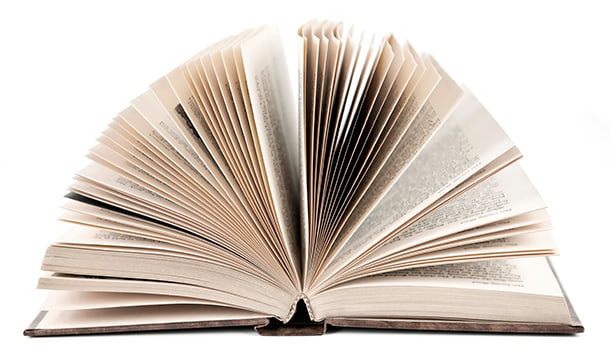 Specifically, he likes books on politics and current affairs, so it is best to buy them when they are newly published. I looked at subscription services but I thought he might inadvertently end up receiving a cookery book, which would not please him! 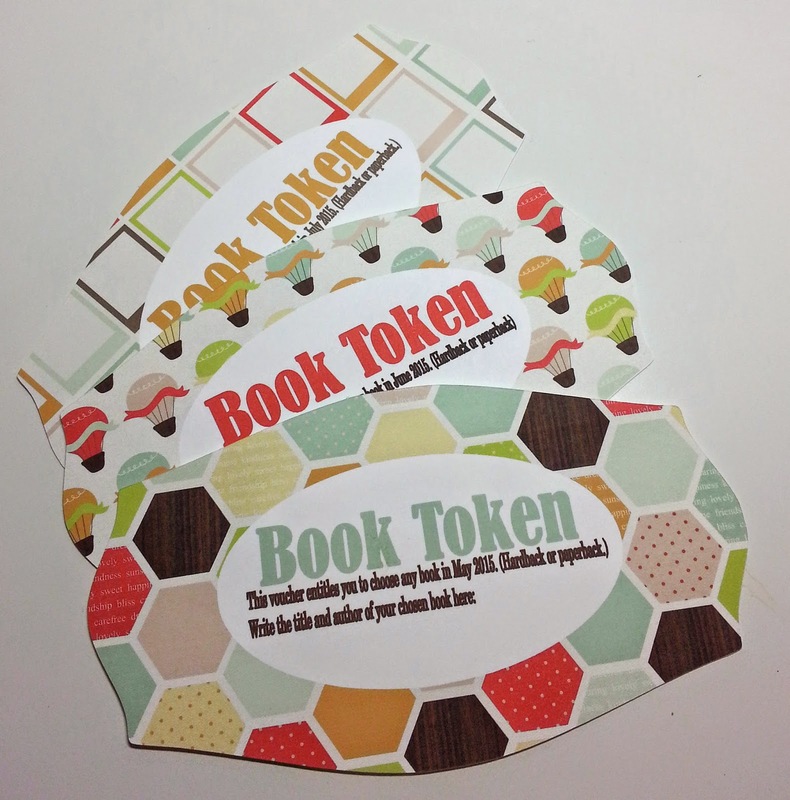 So instead, I've made book tokens dated one a month for the next three months. Every month he writes the name of the latest book he wants on the voucher, gives it back to me, and I will order him the book. I made the vouchers in Silhouette Studio by tracing a shape, adding patterns from a digital version of Echo Park Sweet Day, adding the text and cutting them on the Silhouette electronic cutting machine. Our theme this week at Make My Monday is 'Vintage'. 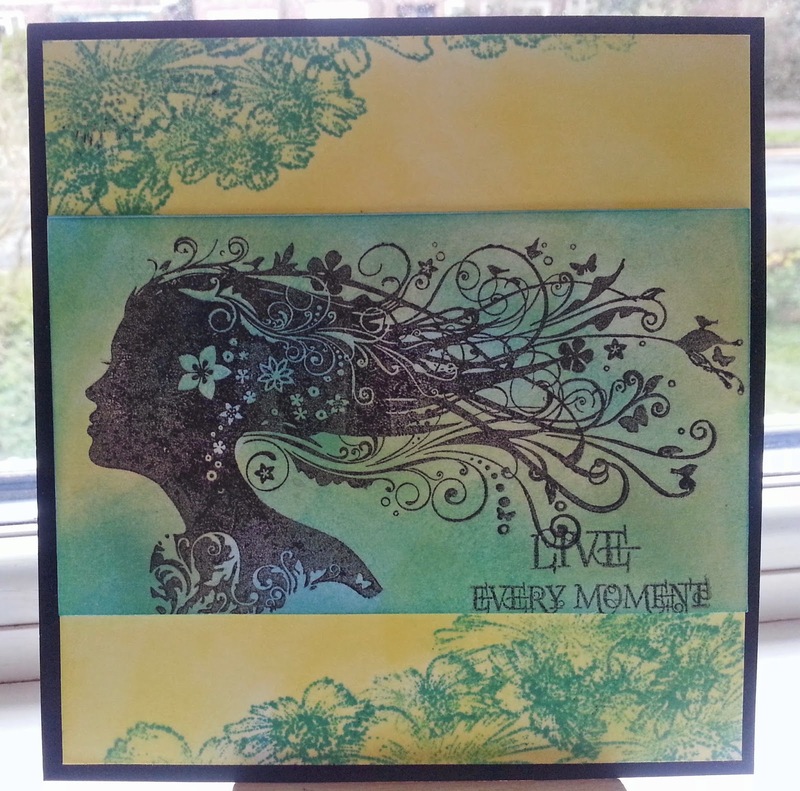 For my DT card I used a stamp by Paper Artsy and a sentiment diecut by MME. I added ribbon, a wooden snowflake and red glitter. 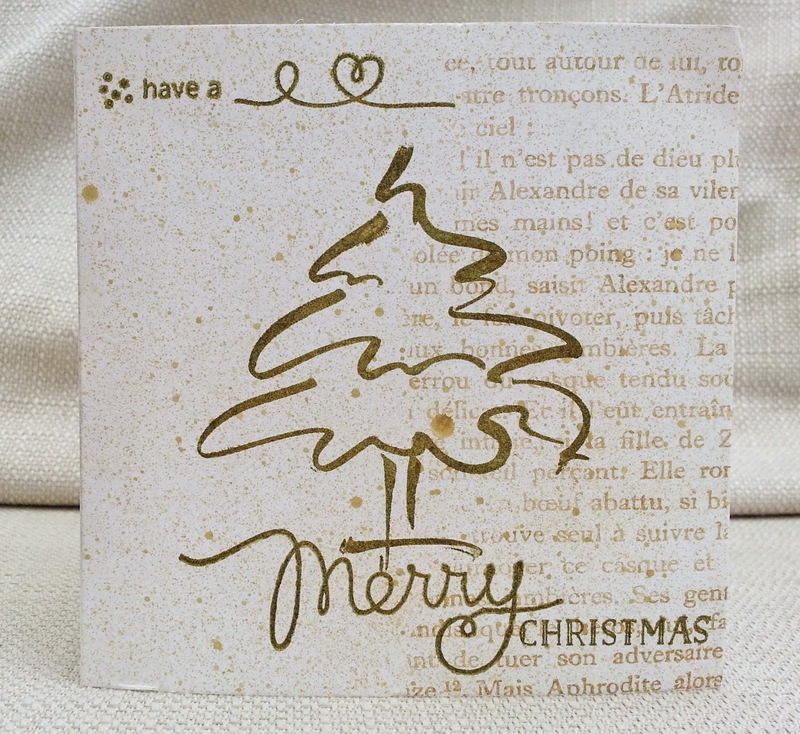 Although I've made a Christmas card, you can make any kind of project, as long as it has a touch of vintage to it. CD Sunday are having a special challenge in rememberance of Wendy aka Purple Crazy. I think this is a lovely idea and, as I've been entering CD Sunday challenges for several years now, am happy to join in. The teddy holding the present is from Docrafts Wellington CD and I added another present, the balloons, star and party hat, all from a Forever Friends CD. I popped up the balloon and party hat on foam and added a die-cut frame, sentiment, flowers and gems. As well as CD Sunday, I'd like to enter ABC Challenge , H is for Happy Birthday. Do you know what this is? If you are British, you will almost certainly know that it's a dalek from the Sci-Fi TV show, Dr Who, which has been running for (on and off) over 50 years. I'm not sure how many of my international blog visitors will recognise it though (I do believe it's shown in the US). 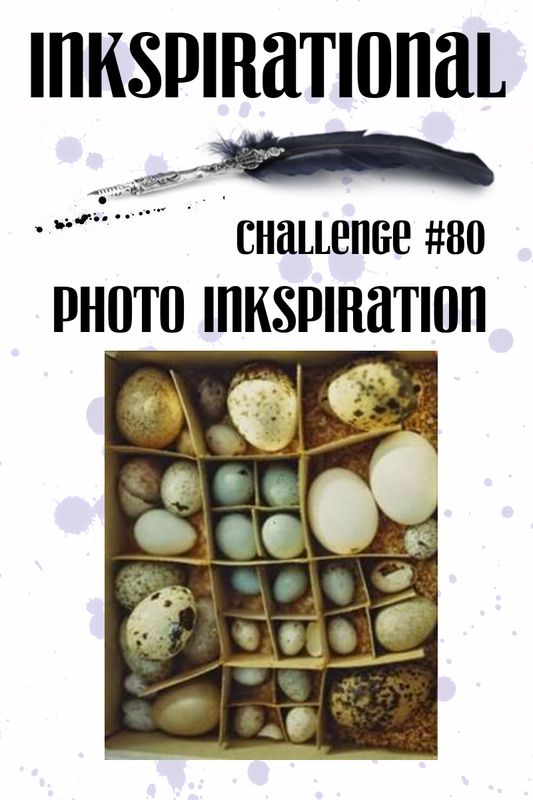 This is my DT card for the latest challenge at Inkspirational , which is the word prompt 'space'. You can see I used two meanings - outer space and empty space on the design. I found a dalek picture on the internet and digitally traced it in Silhouette Studio and cut it on my Silhouette electronic die cutter. 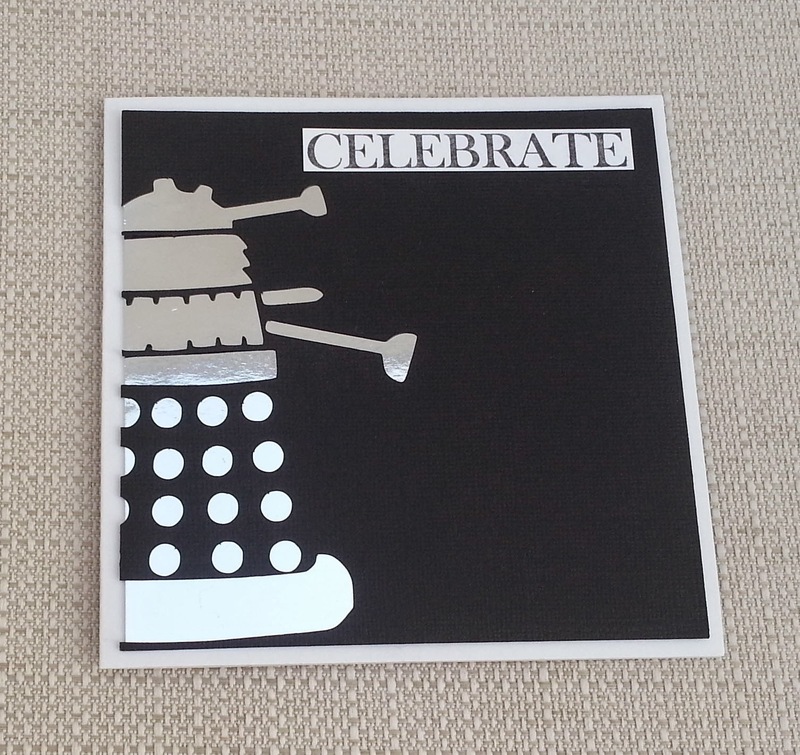 Then I trimmed it so the dalek was coming in from off the page and backed it onto silver mirror card. I had to photograph it from a funny angle to prevent my image appearing in the dalek - spooky! I hope you will visit us at Inkspirational, see our DT creations and also our fabulous Guest Designer Sue T - and link up your own creation inspired by the word 'space'. Well I enjoyed joining in with One Layer Christmas Card Challenges last week, so I thought I'd also have a go at their new theme 'trees' - especially as that is also the theme at Holly Jolly Christmas Challenge . 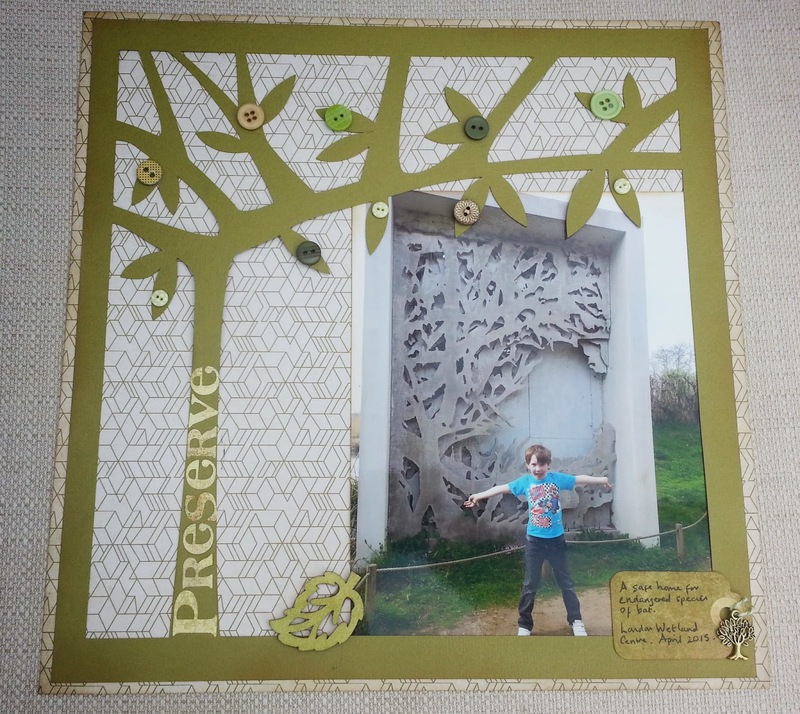 I used a very old tree stamp by Denami, a sentiments set by Mama Elephant, and a book-page stamp by Sarah Hurley. I also use Distress spray. I'd also like to link up with Moving Along with the Times (stamped book-page). This is the 11th birthday card I've made for my partner and, after 11 years, I'm still trying to come up with ideas that are relevant yet fresh! We have a pond at the bottom of the garden and, at night, my partner loves to go down there with a torch to watch all the frog action. I've had this Penny Black frog stamp for a few years but never used it. 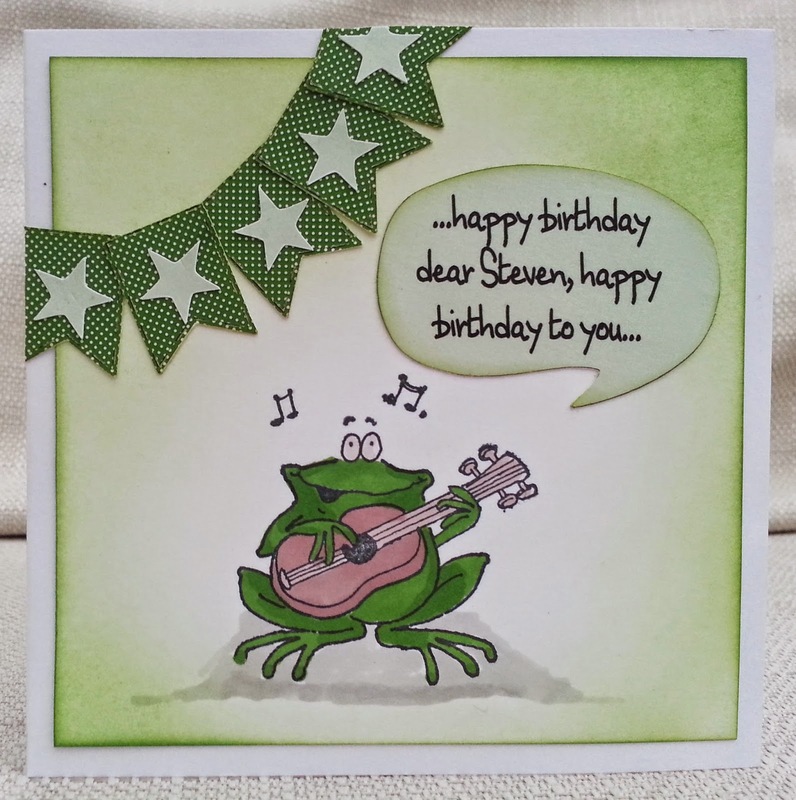 It was second- hand, I think, and I got it because I have another Penny Black frog stamp and I thought I'd use them together. But, obviously, I didn't, and I just pulled this one out of my empty-box-project box. On New Year's day I revealed my stamping shame - a big box of unused stamps - and started my Empty Box project. My aim is to work through the box , one stamp/ stamp set at a time and see if I can use them. If I can't use them, I will dispose of them. The aim is to finish with an empty box. We have a 'spring' challenge at Creative Cutting Challenge this time. 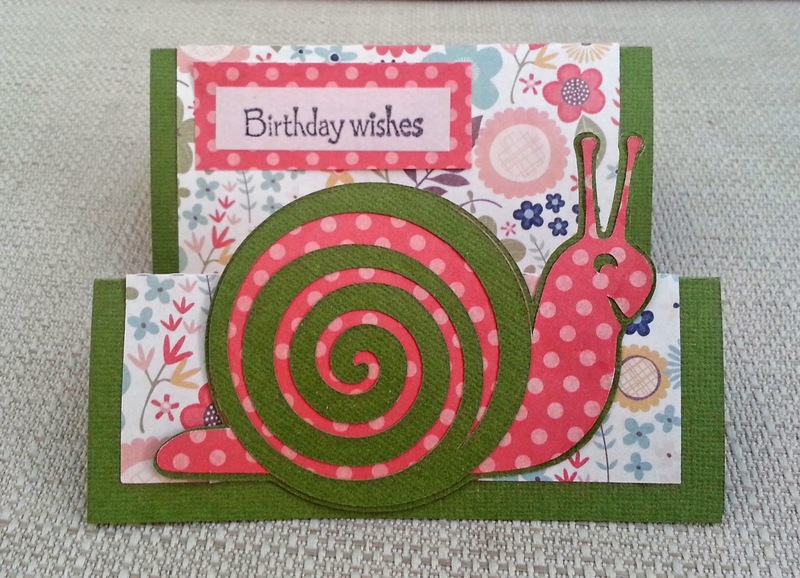 I used the snail from 'Garden Friends 2' svg set from The Creative Pointe and I cut it on the Silhouete Cameo. 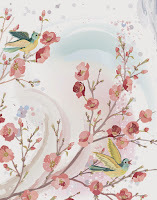 The papers I used are from Designs by Dani 'Woodland Spring'. To join in our challenge, all you need to do is create a 'spring' project using an svg (electronic) cutting file. Hope to see your project. This week, at Make My Monday we're celebrating Earth Day, which is on April 22nd. 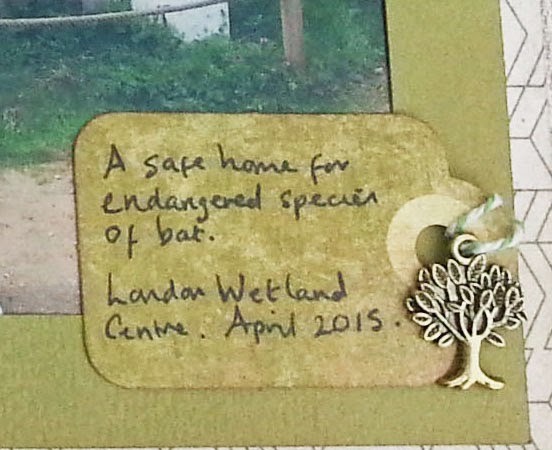 I made a layout using a photo taken recently at London Wetland Centre, which is all about conservation and preserving a natural habitat for wildlife. Here is my son making like a bat, in front of the architect-designed bat house. I made the tree frame by adapting an SVG cutting file and cutting it on my Silhouette electronic cutting machine. The background paper, tag and letter stickers are Basic Grey (different ranges) and I added a charm, buttons and wooden leaf from my stash. I hope to see you at Make My Monday. 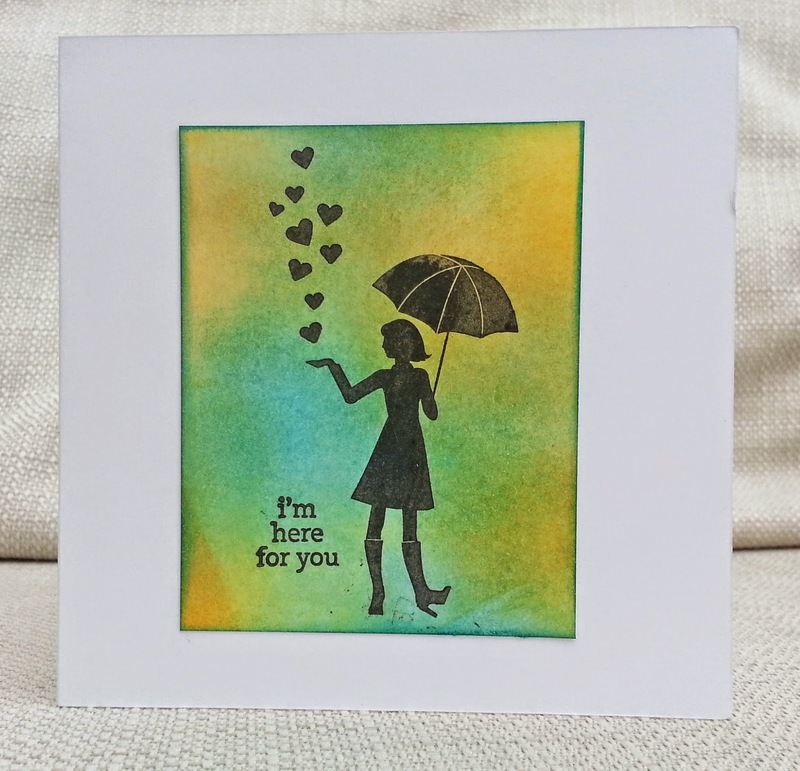 Here's a quick and easy card because I was playing with inks and because I love umbrella images. 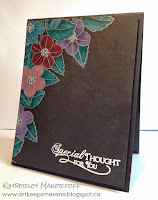 I used a Stampin Up set called Million Dollar Moments. Last year I set myself (and achieved!) 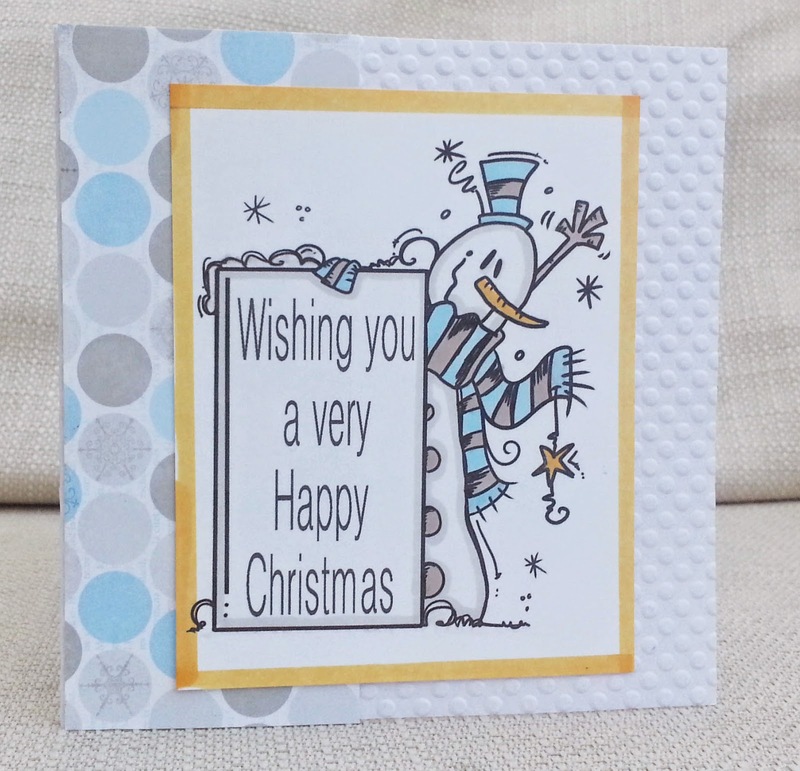 a challenge of making and uploading a Christmas card every week. I haven't done that again this year, but I have still been making Christmas cards since January . I think what I learnt from last year was to get into the habit of making Christmas cards all year through and not to keep Christmas themed papers, stamps and digis separate - jumble them up with all the other stuff so you can come across them by chance and be inspired. 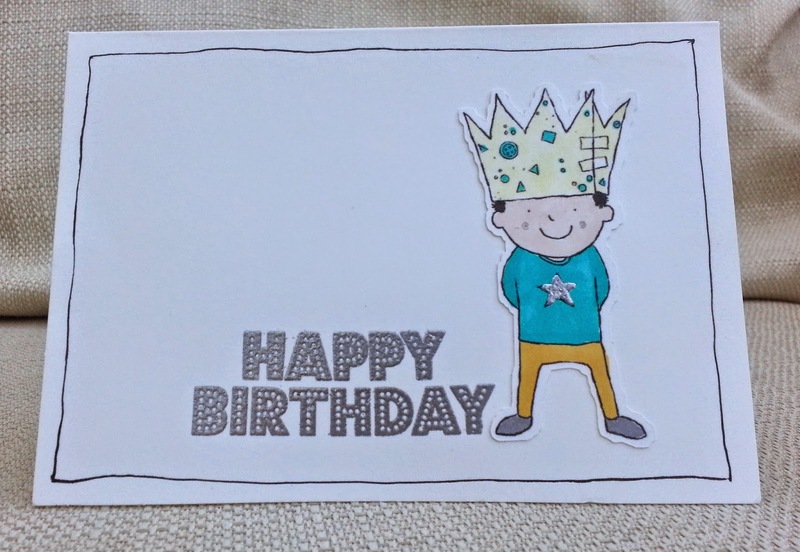 This card uses a digi stamp from Bugaboo and I added the text to it, coloured it with Promarkers and added a 'wink of stella' glitter (can't see in photo). I did actually make this a few weeks ago but forgot to upload it, and when I saw the 'new beginnings' challenge at Try it on Tuesday it reminded me to do so! 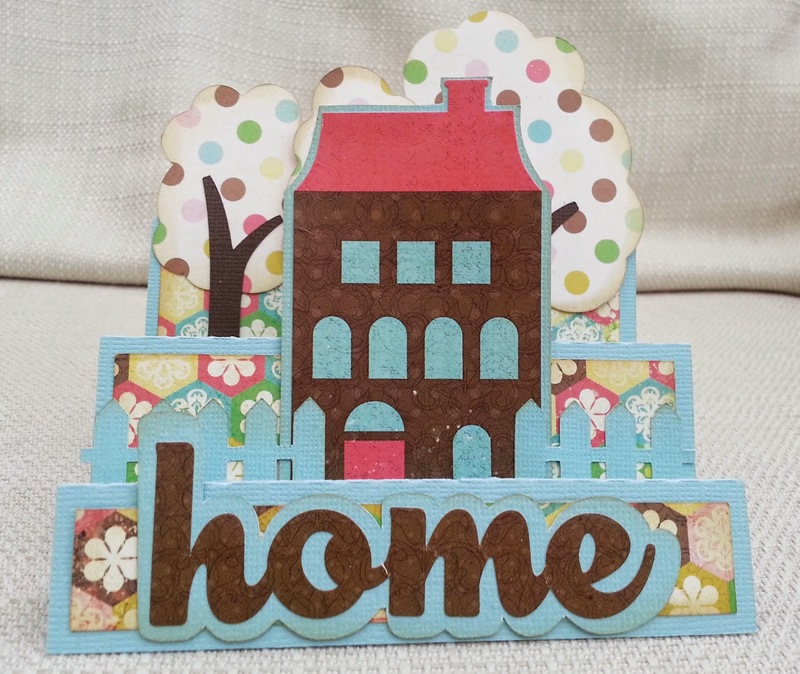 The patterned paper is by Echo Park and the house and word 'home' are EP stickers. 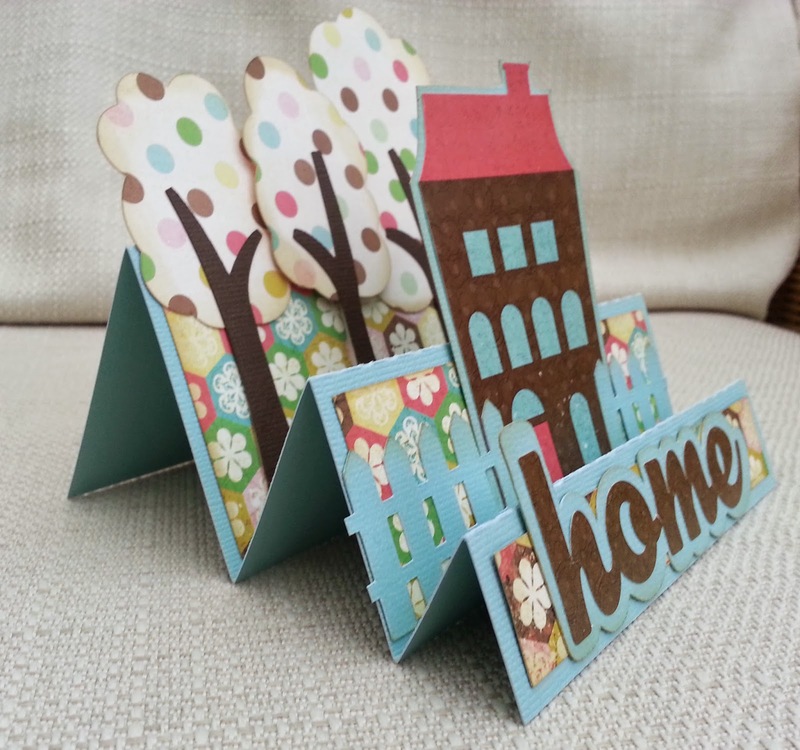 The step card, trees, fence and the offsets for the stickers were made on my Silhouette electronic die-cutting machine. All week, I've been meaning to enter the 'travel' challenge at Christmas Card Challenges, but not got round to making a card till tonight - when there are only ten hours left to link up! 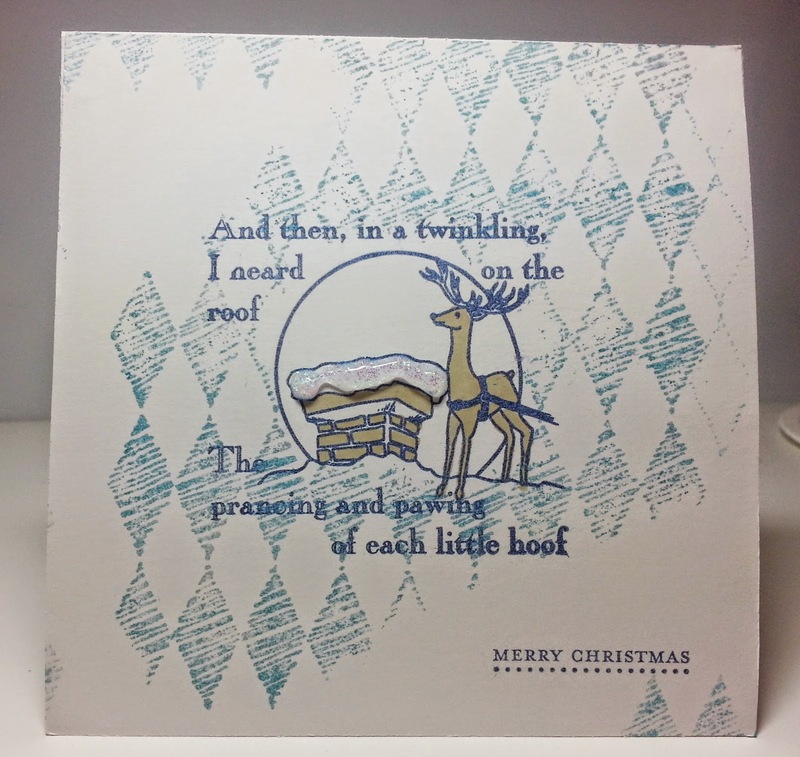 I decided to make this a one-layer card - joining in with the 'blue' challenge at One Layer Christmas Card Challenge. I don't find one-layer cards easy, but I really see the value of them when you go to post a card abroad! My final piece of inspiration was from Addicted to Stamps - they have a photo inspiration and I decided to use the diamond pattern from the table in the picture. Our theme at Make My Monday this week is 'April Showers'. 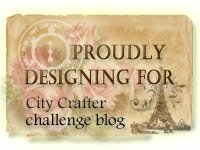 I must admit to having chosen this theme - it's one that seems to come up in the craft - blogging world every year and I can't resist an umbrella image! This particular girl-with-umbrella image was from the Silhouette store and I used the sketch pen to draw it electronically. Then I coloured it in with Promarkers. I limited myself to only using grey and yellow. The patterned paper at the back is a remnant of one of my favourite ever papers by Authentique. 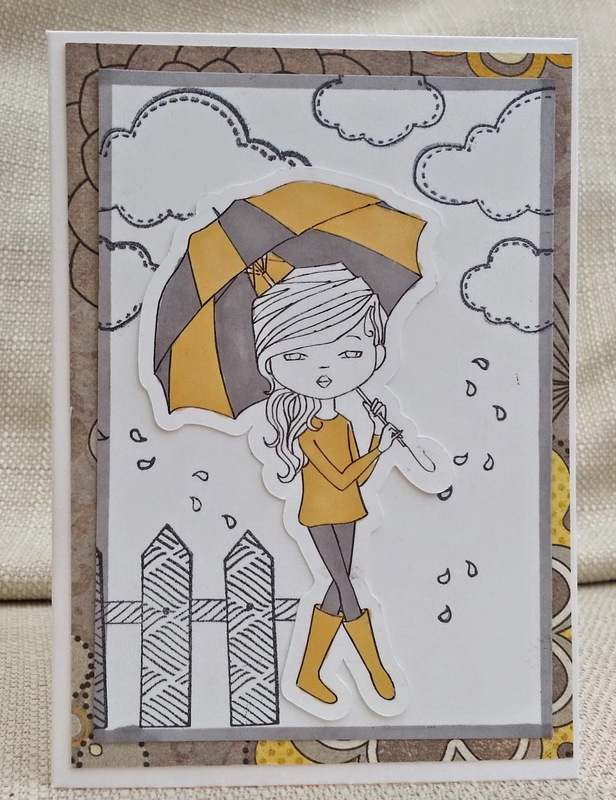 I've not been able to get any more of it and they don't do digital versions, so I'm eking it out, The fence and clouds are Kaisercraft stamps. Firstly, I'll be honest that I can't take credit for much crafting skill in the making of this card - unless you count trimming, sticking and running a pen round the edges as skills! It was mostly created digitally and so I can only take credit for the idea and design . And the idea was very much fuelled by some great challenges. So I copied the way Kim's placed all that detail on the right by using lots of 'kapow!' type images, running off the edge of the card. Then I added the superhero- again, going off the edge - and added the sentiment. So it may not be the most 'handmade' card around, but I know it's one that will come in handy to give to one of my 8-year-old son's friends. 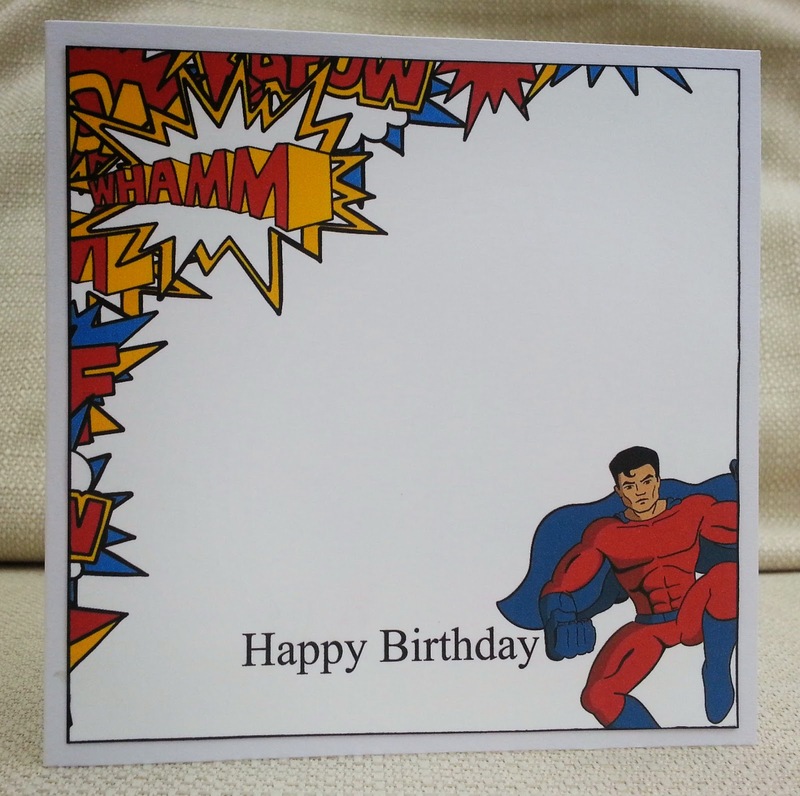 Here's a birthday card for a little boy. I've used a mix of digi and clear stamps, die-cutting and a punch (heart). The bear is a digistamp by Birdie Brown and I coloured it with alcohol ink pens . 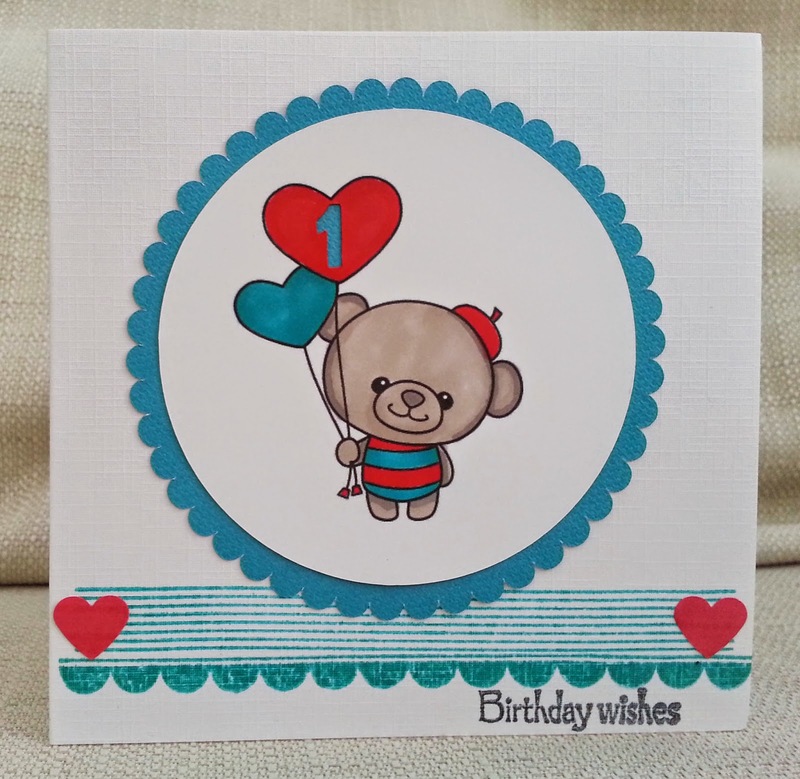 I cut a number 1 out of the balloon using the Silhouette die cutter, with which I also cut the scalloped circle. I stamped the borders ( the stripes are by Inky Doodles but not sure about the scalloped strip) and the sentiment. 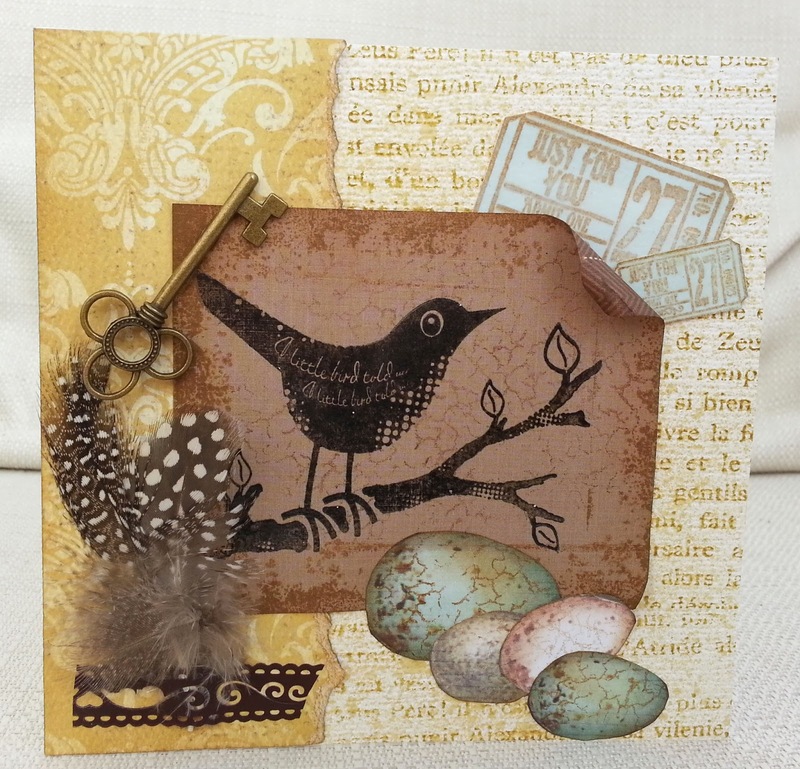 As you can see, I made a spring bird/eggs card, using a stamp (Woodware??? Lost packet again), and eggs which are vintage photos from Lunagirl. I cut the eggs out and 'distressed' them. The background was made with a Sarah Hurley text stamp and Distress Spray. I also used several distressing/ crackle stamps. The tickets are stamps that were kindly given to me by my dear teamie, Nonni and I had so far never used - they were in my Empty Box Project box! We would love to see you at Inkspirational. 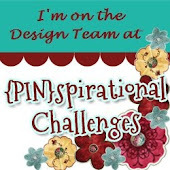 We have a fabulous guest designer, Bozena, and we'd love you to join in with our challenge. I bought these Windsor and Newton Inks about 13 years ago. I have no idea why I bought them ( I suppose they looked pretty!) and I have never used them before. I don't know if anyone will like this except me. It may seem odd and garish! But at least I'm using my stuff. The stamp is by Paper Artsy. Regular visitors to my blog may recall that I don't like to have features missing on my characters. I just had to draw a mouth onto this little angel, and, the way the mouth turned out, together with the turned in legs makes her look very unsure of herself. Like this Christmas she has to go out angelling for the first time. I've got a few male birthdays coming up so I thought I'd join in the challenge at The Male Room - Use a metallic embossing powder. 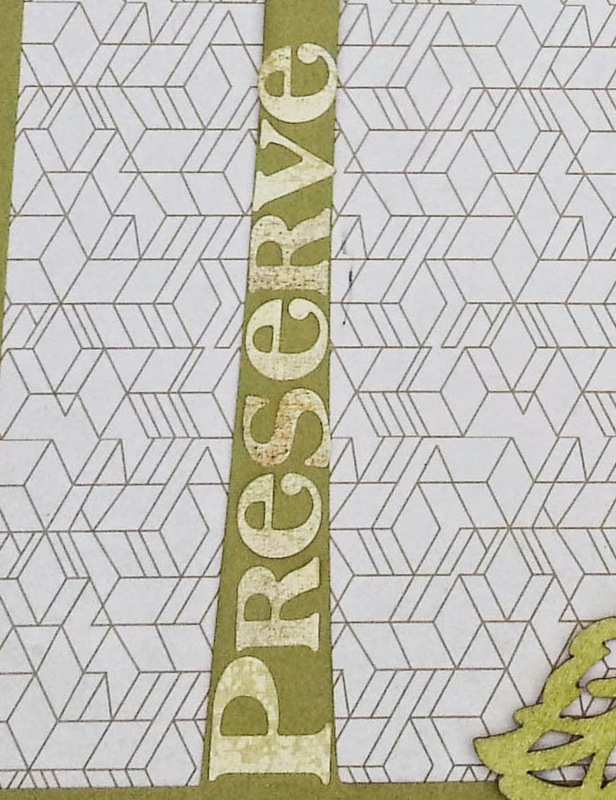 I also used the sketch from Sunday Stamps. I printed a Jellypark digi and embossed the star on his jumper with silver ep, then coloured it in with Promarkers. I then stamped the sentiment (Hero) and silver embossed it. 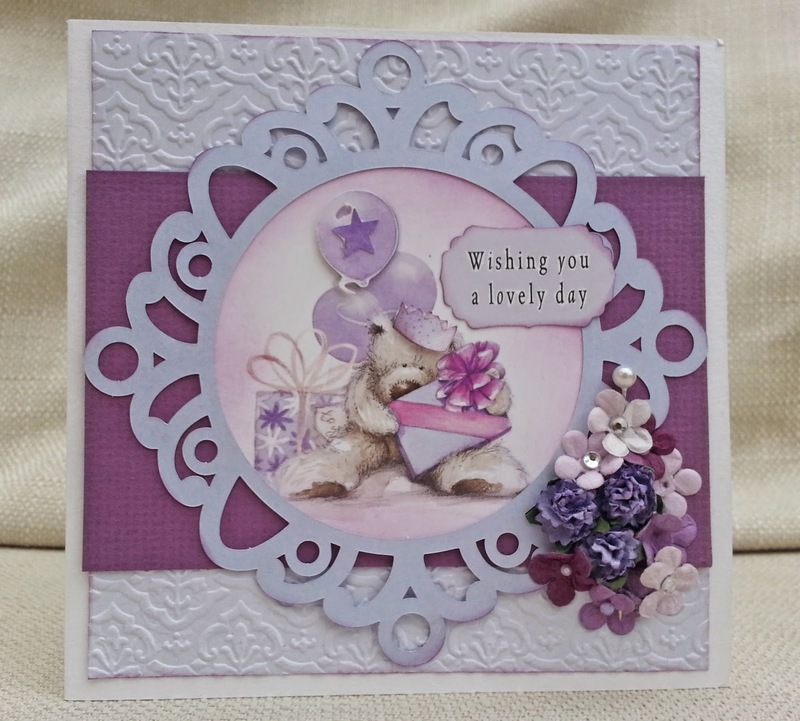 Our new challenge at Creative Cutting Challenge is 'anything goes' . To join in our challenge you must use an SVG (or similar) file - basically any electronic cutting file is fine except those from a Cricut cartridge. For my DT card I used two sets from The Creative Pointe : skating set and snow globe. I hope you'll join us at Creative Cutting Challenge. 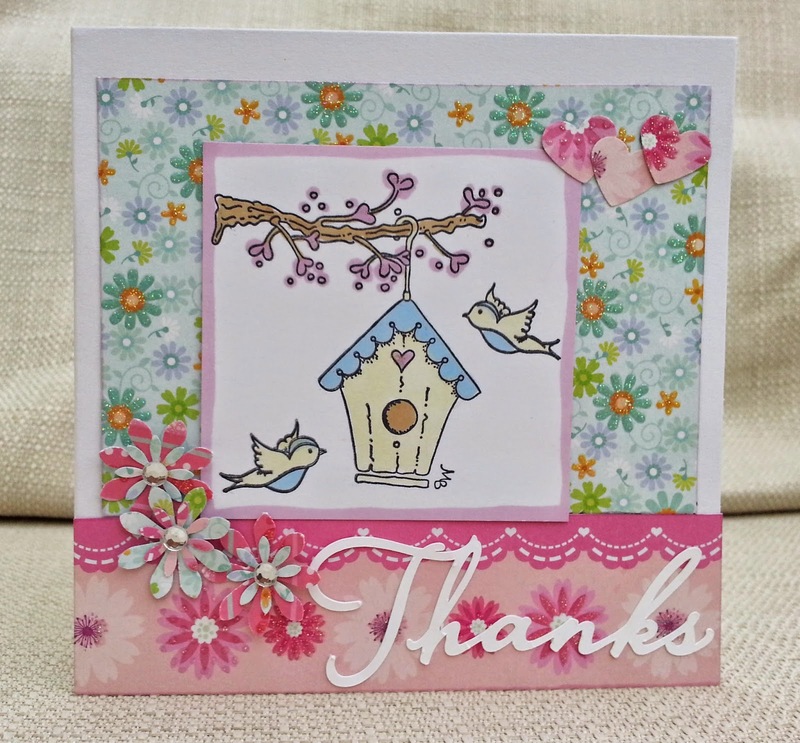 The challenge is to use the picture as inspiration for a spring card including a bird. 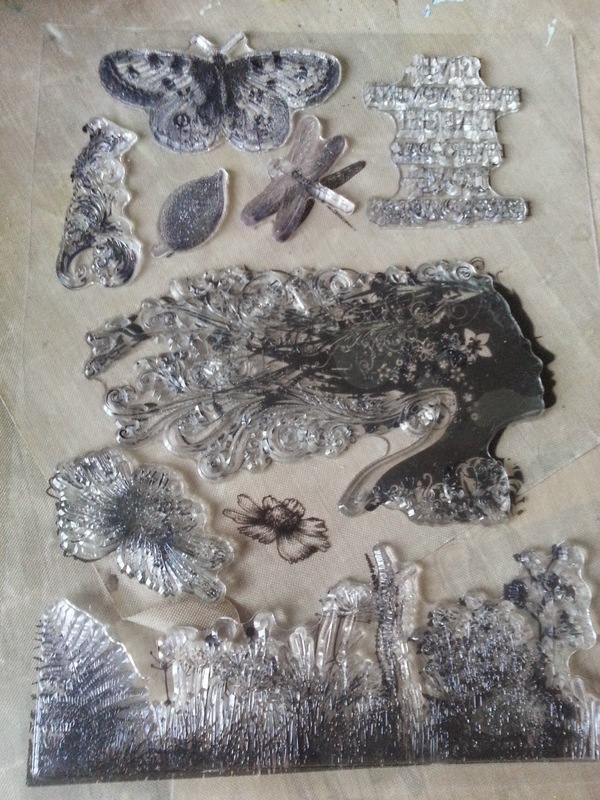 The papers I used for my DT card are from a pad of beautiful embossed and glittered double-sided papers which I found left on my desk just before the Easter break. They were a gift from one of my colleagues who had seen them and thought of me, remembering the handmade Christmas cards I've given her. I'm very touched by that and made this card to give to her. The stamps are by Molly Blooms. I hope you'll use the photo to make a spring card including a bird, and join us at Make My Monday. I wanted to try out the colour combo at Friday Mashup - didn't manage to squeeze in a bunny though. The star stamp was a freebie (long ago) from Craft Stamper magazine ( added a Wink of Stella to it but , of course, it doesn't show in the photo). 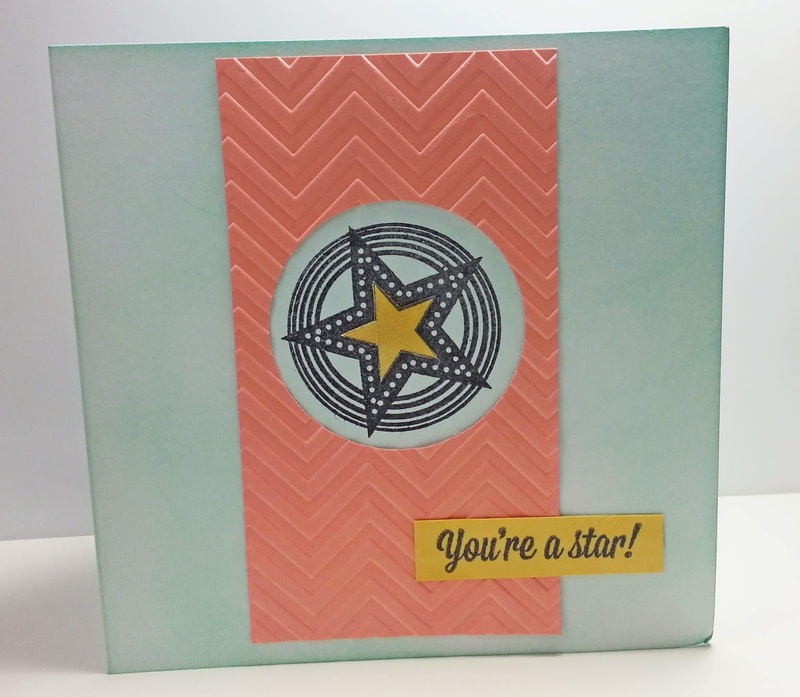 The base card was inked with Pool Party ink and I used a chevron embossing folder. While the last 'Empty Box Project' was a struggle, this one was easy! I just randomly grabbed this bunny stamp from the box (part of a set free with Quick Cards magazine, who-knows-when), and I thought...if I can't use a cute bunny stamp on Easter weekend, when can I? 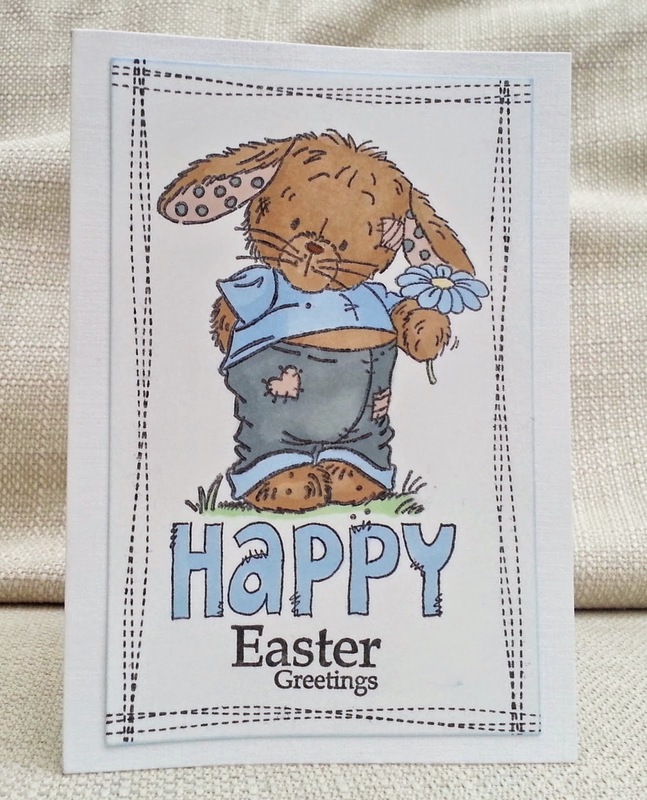 I coloured the bunny with Promarkers and I noticed he had stitched on patches and so I thought it'd go well with the Paper Artsy 'happy' stamp. The rest of the sentiment is Crafters' Companion and the stiitched border I framed the image with is an Inky Doodles stamp. Empty Box Project #14 - No-one said it'd be Easy ! Well, at last I have used these Indigo Blu stamps from my Empty Box Project box! I struggled. Firstly, I felt uninspired by them. (I think they were a free gift). Secondly, I found it hard to get a good impression of this woman stamp. Eventually, I got a good impression using a very sticky ink pad and then chose some spring-y coloured inks and sponged them over. I stamped just the top line of the sentiment on the bottom of the panel. 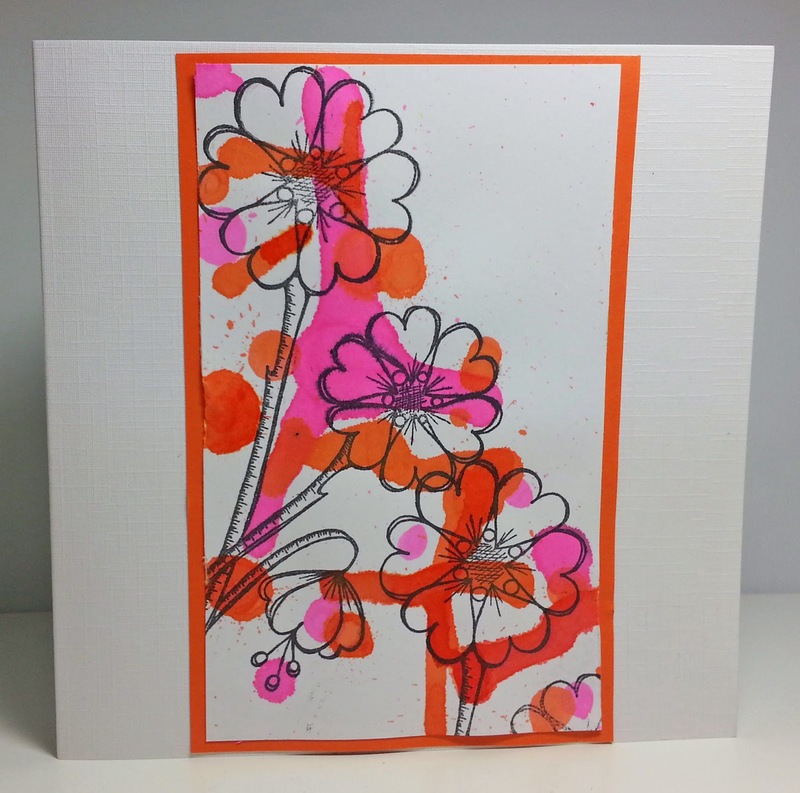 Then I created a background with yellow ink and randomly stamping the two flower stamps. I quite like the end result and yet...I don't love these stamps. If you do, please leave me a comment with your email address and I will contact you and send you them. (UK only please due to postage). 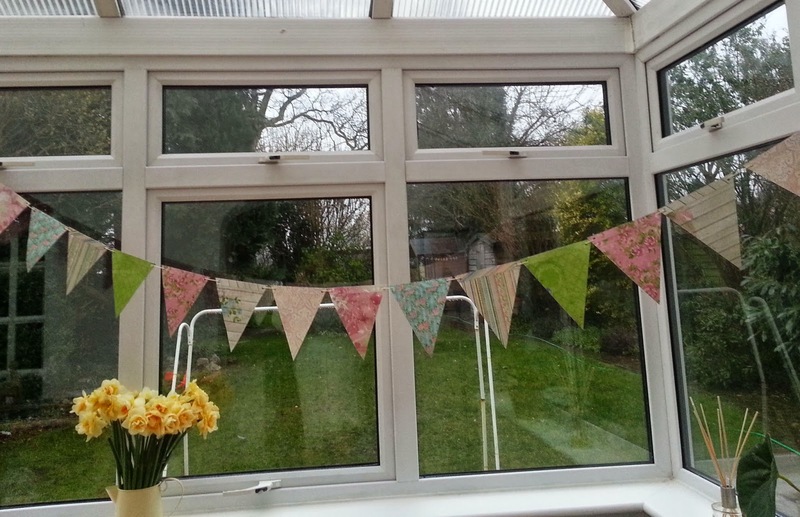 While I've got you, here's a photo of the paper bunting I made to decorate my house for Easter. I must find a better way of hanging it! As I blogged earlier, my four-year-old nephew has got chicken pox and so can't come to my Easter egg hunt. 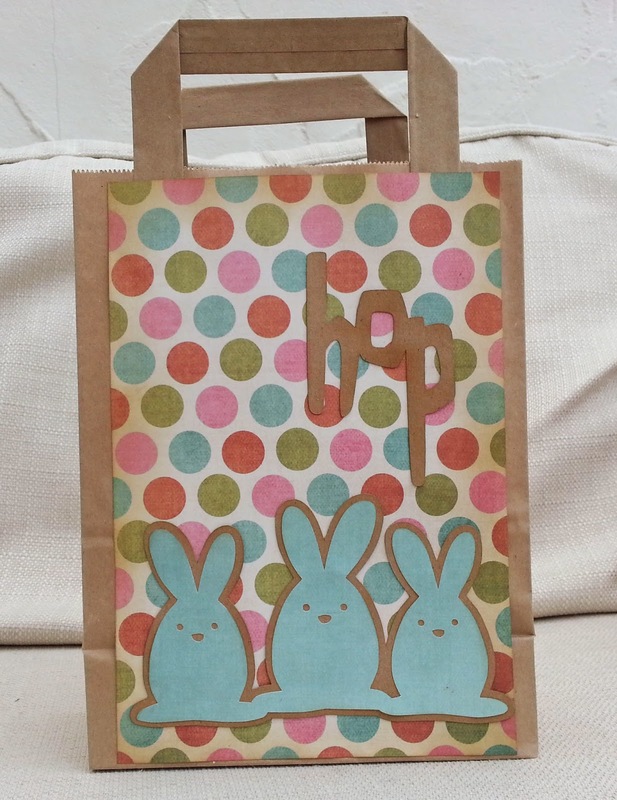 I made this bag and put in some little chocolate eggs that would have been in the hunt, and posted them to him. I expect they'll just be broken pieces of chocolate when they arrive, but chocolate is chocolate! The bunnies are an electronic cutting file that I welded and cut on the Silhouette, and I created the 'hop' in Silhouette Studio. My brother and his family were coming to stay with us for Easter, but he called me last night to say my nephew has caught chicken pox! I needed to make this card quick so that I can send it with some easter eggs to get there before Easter (and tomorrow is a bank holiday). 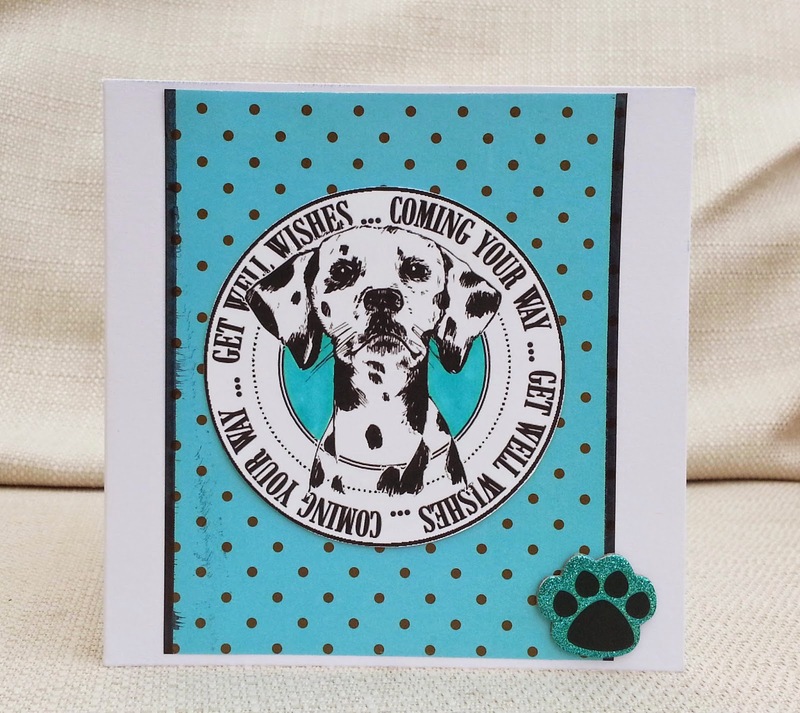 The circular sentiment is from a CD that I think came free with a magazine and the dalmation is from Serif Craft Artist / Man's Best Friend. Spotty paper, dalmation, chicken pox - I think you can see where I was going with this!